Interstate 25 closed sign posted along northbound on the outskirts of Casper, Wyoming. Flashing lights illuminate during periods of closure. Photo taken 08/06/13. 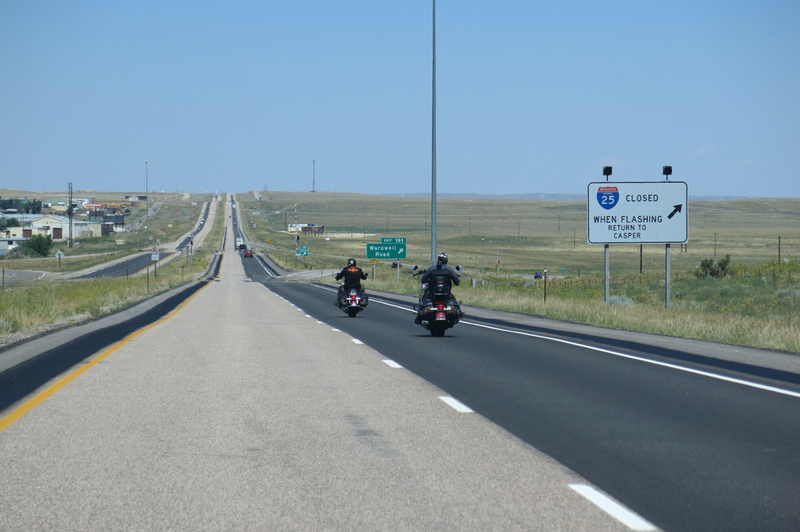 Inclement weather, traffic alerts and other advisories may result in a closure of Interstate highways in the high plains. During these periods, traffic is directed to turn around or wait until the freeway reopens. 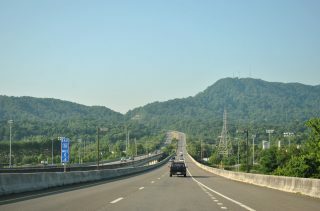 Interstate 26 southbound on the viaduct across the South Fortk of the Holston River in Kingsport, Tennessee. Photo taken 06/25/12. 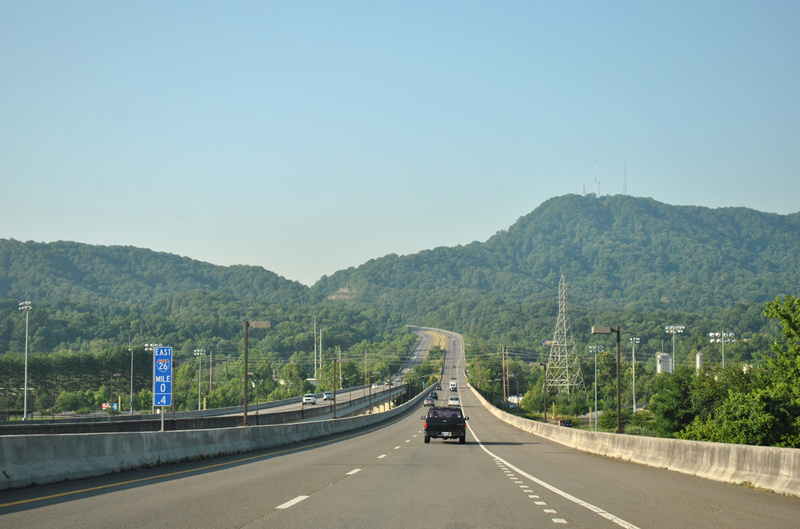 The stretch of Interstate 26 south of Johnson City, Tennessee angles in such a way that eastbound flows westbound and vice versa. I-25 east of Santa Fe, New Mexico and I-64 in Hampton Roads, Virginia are other examples where the cardinal direction of an Interstate does this.